It was a slack tide which presented calm conditions and the ability to achieve this unique angle among the pilings. I took this image in January 2015, but just remastered in April 2019, after visiting the East Boston waterfront. 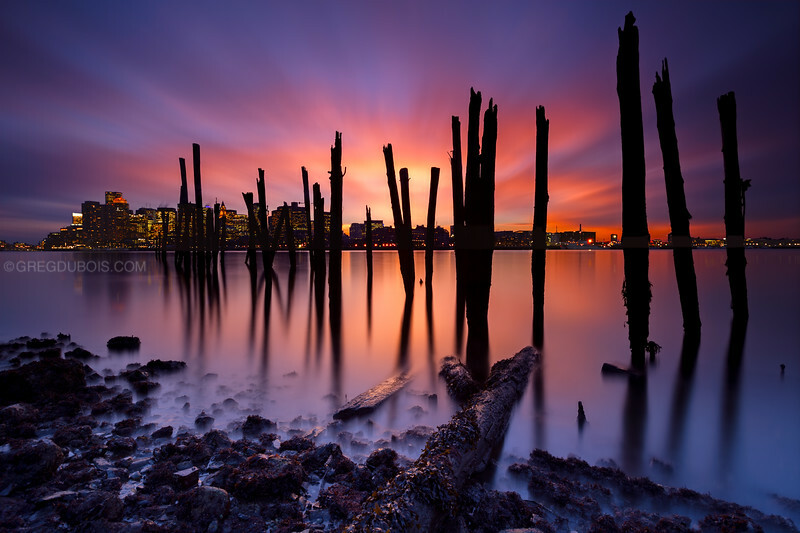 I found that all these old pilings, for the most part, have been removed for the renovation of the shoreline.